Though we are still a few years away from the Summer Olympics in Japan in 2020, many talented and dedicated athletes have already been training for the world event. Being a community of avid sailors ourselves, we decided to kick off a new series featuring young sailors who have turned their passion into their profession. 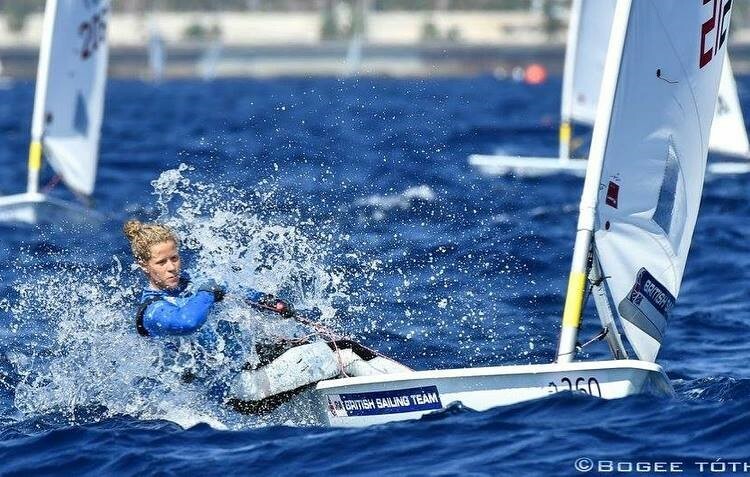 In Part I of our Professional Sailors Under 30 Series, we interviewed Georgina Povall (also known as George), who is on the Olympic Team of Great Britain and the British Sailing Team. Discover how she started her career, what inspires her, what she always packs when she goes off to a tournament, and more. For all our readers who perhaps don’t know you yet, can you give us a little introduction? I am 23 years old and have just started a full-time sailing campaign with the end goal of winning a Gold Medal for Team GB at the Olympics. I am part of the British Sailing Team and sail a Laser Radial (Women’s single-handed Olympic Class). Can you tell us how you got into sailing? My first experience of racing and sailing regularly was at Hickling Broad Sailing Club which was a 5-minute walk from my house in Norfolk on the East coast of England. I used to walk in my wetsuit pulling my boat down the road to the club which would get a lot of strange looks. I mostly sailed a Topper which is a junior class of boat and started doing some local training sessions and club racing. Can you tell us a little bit about the category of sailing you are in? A laser Radial is a single-handed one design dinghy which is raced around a course usually lasting 1 hour with up to 3 races a day. We train through the winter and generally race in the summer months on the World Cup Circuit which will start in Japan this year and then will go on to Miami and Hyeres. The top 25 will then go on to compete at the World Cup Final. The two other major events are the Europeans and World Championships. Every four years, team GB selects 1 athlete to compete at the Games in the Laser Radial Class. What do you consider the hardest part of sailing? In a Laser, the hardest part of sailing is definitely the physical demands of the boat (hiking)! Equally training in the UK over the winter can be tough when its sub zero degrees and your mainsheet is frozen. Fortunately, the team usually goes abroad in January and February to avoid the worst of the British weather. And what is the most fun about sailing? The speed on a windy day and the freedom to sail where you like. There are so many different boats to try and each day is always different in terms of wind, waves, tide, etc. How do you train to be a professional sailor; what does your training schedule look like? Do you sail every day, or? Usually, I aim to sail a minimum of four times a week and go to the gym six times to maintain a good level of fitness. Each on water session will typically be three hours long focused on a specific goal, e.g. starting, technique, boat handling, etc. 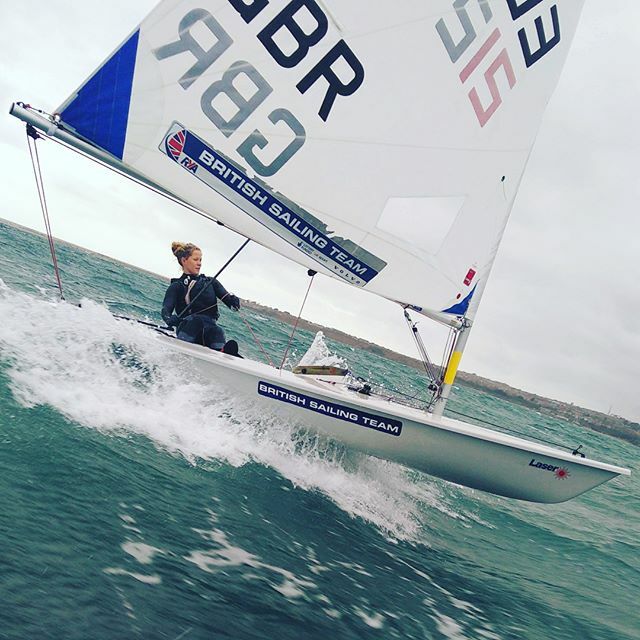 Most of the training is in Weymouth which was the Olympic Sailing Venue for London 2012 but over the winter months, the team often travels abroad to warmer climates. When not sailing I spend time sorting logistics for boat transport, planning event/training schedules, doing boat work and occasionally coaching to raise extra funds. What are your packing essentials when you leave for a tournament? Trying to stay under the baggage weight limit on planes is always a struggle so I generally try to be selective! Peanut butter usually sneaks in but apart from that its mostly ropes, sail, wetsuit, gym kit and clothes. Are there any specific tournaments or championships you are training for at the moment? The main event next year will be the 2018 World Championships in Aarhus, Denmark and is the first chance to qualify your country for an Olympic spot. 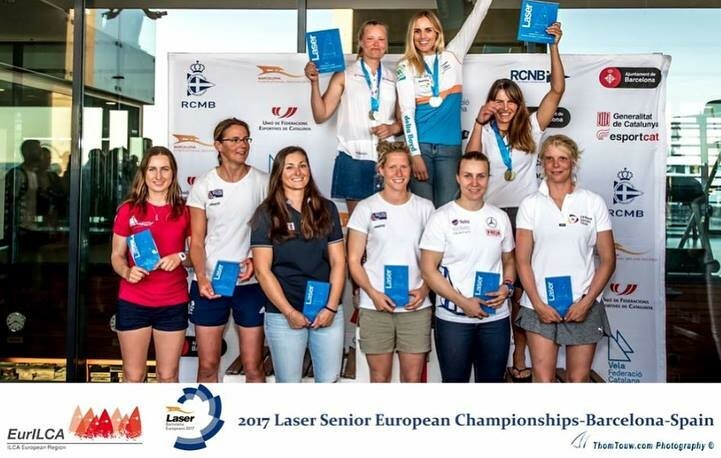 The other major event will be the Europeans in La Rochelle at the start of May. What moments in your sailing career so far are you most proud of? A couple of months ago I would have said winning the Bronze medal at the Under 19 Youth World Championship in Brisbane in 2012. However my 2017 season has just finished and ended on a high with my best performance to date, placing 6th European at the European Championships in Barcelona. What are your dreams in your career? To represent Team GB at the Olympic Games and win a Golden Medal. I would also love to get involved in the Extreme Series and if the opportunity arose the Americas Cup. Seeing people I have raced against and spoken to in the boat park who then go on to be selected for the Olympics. Watching them on TV in Rio has really driven me to want to be the GB representative in Tokyo. Also watching some of these sailors’ careers develop post-Olympic games and the opportunities it has given to them. For example, Annalise Murphy, the Rio Silver Medallist, is now on a boat in the Volvo Ocean Race. Do you often go on a sailing holiday? Depends on how you define holiday – if it’s going abroad and going sailing, then my friends and family would say I am on holiday all the time! 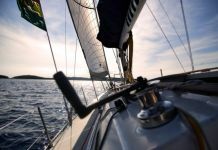 Over the years I have been on a lot of sailing related holidays from sailing down the Caledonian Canal and Loch Ness in Scotland, to windsurfing in Dahab, Egypt. What’s your favourite destination? And with whom would you like to spend your holiday at sea? I have been on a few sailing holidays when I was younger with my family, the best was probably in Menorca. The Norfolk Broads is also great for a UK based sailing holiday. What other activities at sea or in the ocean do you like besides sailing? I am currently learning to windsurf with varying degrees of success. I can tack/gybe but haven’t got to the go-fast-fun part yet. I have also given kitesurfing and surfing a go which was both good fun but I am definitely still at the beginner’s level. Bodyboarding is probably more my skill level and good fun in big waves. I also like sailing SB20s and Norfolk Punts when I can find the time. Do you have a favourite sailing quote? If you’ve enjoyed our interview with Georgina Povall and would like to see how she is doing, you can follow her on Instagram or Facebook. As she and her team are preparing for the Olympics, they are open to any contribution you can make to their campaign. You can also find George on the British Sailing Team website. This interview with Georgina Povall is the first in our series of interviews with professional sailors under 30. Keep an eye out for number 2!